2010 has been a great year so far. It has given us the World Cup, inception cat, and jeggings are coming back in style. 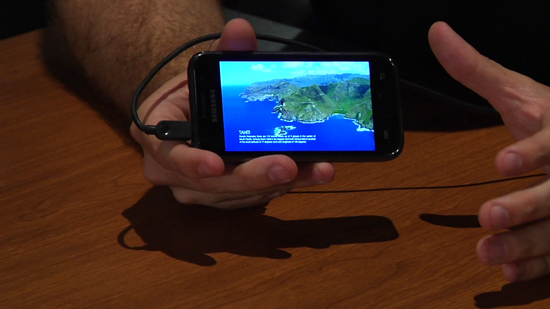 We have also had the opportunity to meet a lot of awesome DivX users during the gdgt live tour. Next week, the tour will continue in Beantown, USA and we will be there with a couple of our favorite DivX Certified Devices. If you live in or around Boston and you love gadgets, you will not want to miss this event. Did we mention that we will also be giving away Seagate’s new DivX Certified FreeAgent GoFlex TV HD Media Player, and a DivX Certified Philips Blu-ray player? We’re pretty sure we just did. Heads up Apple, there’s a newer, smaller (and DivX Certified) tablet in town. 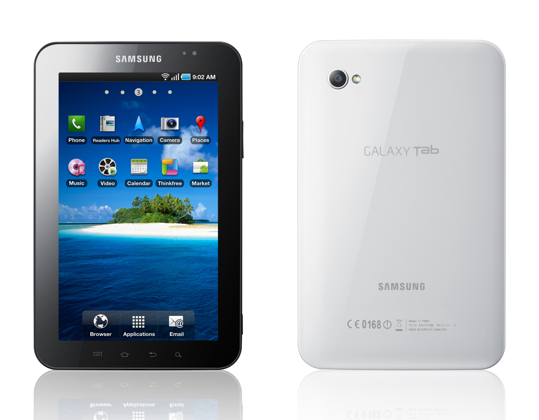 Last week Samsung announced their new GALAXY Tab, and the web has been buzzing about it ever since. The tablet boasts a variety of awesome features, but our favorite would have to be that it guarantees DivX playback up to 720p HD (perhaps we are a bit biased). This miniature powerhouse also has a 7-inch touch screen, Flash 10.1, a 1GHz processor, and ships with Android™ 2.2 (froyo). This was the 2nd stop on the gdgt live tour 2010. The tour kicked-off in Austin, TX during SXSW and this time we were headed to Chicago, IL. Hundreds of tech enthusiasts came out on a rainy night to check out the latest gadgets. 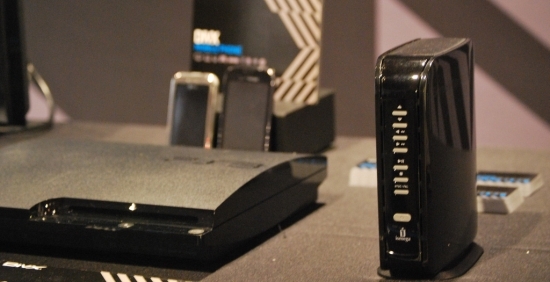 DivX showed off some new devices that play DivX video, including the recently launched 1 TB Iomega Director multimedia hard drive and the LG Arena mobile phone. Attendees also had a chance to demo one of the first DivX Plus HD devices that play back MKV video (the Philips Blu-ray player BDP 5100). We had a great time hanging out with all the DivX users that came by our booth to catch up on everything DivX. There are three more stops left on the gdgt live tour 2010. In July, we will be in Seattle, so if you are in the area, make sure to check back to get all the details. A while back, DivX sponsored the gdgt live event in Austin, TX during SXSW 2010. We handed out t-shirts, showed off some of the latest DivX Certified gadgets, and met a lot of awesome DivX enthusiasts. We had so much fun that we are attending and sponsoring the next event in Chicago. If you live in the Chicago area (or you are close enough to drive there), then head on over to the Gallery 2433 on May 12th. In January, we announced our plans to bring DivX TV to consumer electronic devices. As cool as DivX TV is however, it isn’t the only project we have been working on. 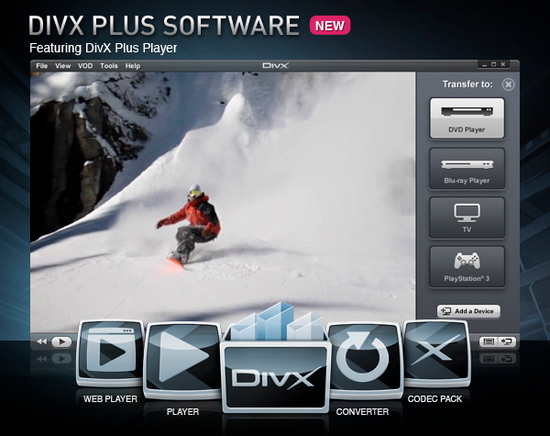 For the past year, we have also been working hard on the latest version of DivX Software. We have redesigned our bundle from the ground up to include more features, a new interface, and a simpler method for transferring videos to your DivX Certified devices. We call it DivX Plus Software. If you happen to be cool enough to live in Austin, Texas, or even if you’re just cool enough to travel there for SXSW, make sure you head over to the Austin Music Hall on the evening of March 15th, when gdgt.com is hosting a live event sponsored by DivX. Warner Bro’s latest movie “Cop Out” is hitting theaters today (Feb 26th). This film is about two NYPD partners played by badass Bruce Willis and not-so-badass Tracy Morgan. The unlikely combination of these two “partners against crime” sets this movie up to be a perfect addition to a long line of buddy cop movies. Click here to go to the official “Cop Out” website. Everyone here at DivX is very excited about this announcement. You can now buy Hollywood content in DivX format from CinemaNow. So what does this mean? Well if a new movie like The Hangover or Terminator Salvation comes out, then you can browse on over to http://divx.cinemanow.com and purchase it right away. The movies can be played back on your PC, Mac, and DivX Certified Devices (such as the PS3).